The Oregon Public Health Division recommends that ALL residences be tested for radon regardless of the risk level assigned to the home’s geographic location. In Oregon, approximately 276 radon-related lung cancer deaths happen each year. Radon, a naturally occurring radioactive gas, comes from the decay of uranium that is found in nearly all soils. 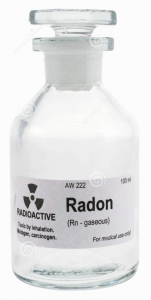 Radon gas is colorless, odorless, and without taste. It is the leading cause of lung cancer in non-smokers and the second leading cause in smokers. The presence of radon in a home cannot be detected by human senses. The only way to know if your home contains radon is to test. The EPA (Environmental Protection Agency) recommends that homes with high Radon concentrations of 4 pCi/L and above be mitigated. There are many straight-forward reduction techniques that will work in almost any home. The EPA strongly urges the use of tamper resistant techniques when conducting a radon test in the context of a real estate transaction. Only inspectors who use Radalink radon measurement equipment can provide a written warranty and can guarantee that the radon levels are under the EPA’s recommended action level. 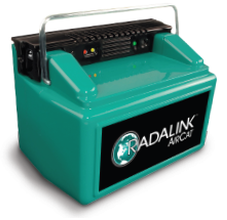 Radalink monitors have tamper resistant features that ensure accuracy and reliability. Sensors log any time the monitor is moved or if the power source changes between AC and battery. Active hourly readings of the radon concentration, temperature, relative humidity, and barometric pressure record any unusual fluctuations resulting from Protocol violations (leaving doors and windows open, running air conditioners with outside air intakes on, operating whole house fans, etc). In other words, it is extremely difficult to compromise a Radalink test.